At 12:15 EST on July 22, 2014, the FAA issued a Notice to Airmen (NOTAM) informing U.S. airlines that they are prohibited from flying to or from Israel’s Ben Gurion International Airport for a period of up to 24 hours. The notice was issued in response to a rocket strike which landed approximately one mile from Ben Gurion International Airport on the morning of July 22, 2014. The NOTAM applies only to U.S. operators, and has no authority over foreign airlines operating to or from the airport. The FAA immediately notified U.S. carriers when the agency learned of the rocket strike and informed them that the agency was finalizing a NOTAM. The FAA will continue to monitor and evaluate the situation. Updated instructions will be provided to U.S. airlines as soon as conditions permit, but no later than 24 hours from the time the NOTAM went into force. For a long time Palestinian President Mahmoud Abbas had threatened to resign, but yielded to American pressure to remain in office. His continuously weakened position, however, was exposed by the humiliating coup carried out by a coalition of Islamic Jihad, Hamas and groups from within his own Fatah movement. Without any resistance, they entered his Muqata compound, pointed their guns and threatened to execute him. After merely an hour or so, a document was signed, and President Abbas was allowed to leave the headquarters of the Palestinian National Authority (PNA) and the West Bank of Jordan for a safer haven. He appeared to be quite relieved from a burden far heavier than what a decent man’s shoulders can bear. Just like their take-over a few years earlier in Gaza, the Hamas, now as head of “The United Arab Coalition of Islamic Forces in Palestine,” had swiftly taken control of the previously Israel-occupied part of the West Bank, which had been handed over to the PNA. A day after expelling the President, all Government Ministries and most military bases were in the hands of the Hamas. The little resistance that arose had easily been crushed, as many of the president’s loyal forces left with him for Jordan. Having gained experience in Gaza, the Hamas enforced a strong military rule, harsh censorship, and the anti-Israeli messages in mosques and media intensified. During the years of Arafat’s and Abbas’s leadership, Israel’s destruction had been called for on a daily basis in the media and even in the schools. But now the threatening tongues sharpened into swords of heinous hatred; the oft-repeated verses about “the Jews as the scum of evil, the descendents of the apes and the pigs,” were broadcast several times a day, as were the calls for volunteers. Hundreds, if not thousands, signed up for suicide martyr missions and for training camps in Iran. Israeli roadblocks on the West Bank, which according to the Israelis had for such a long time been instrumental in curbing terrorist attacks, while they bore the insignia of humiliation and oppression for the Palestinians, were stormed by tens of thousands of civilians. While some carried weapons, there was no need to fire a single shot. The soldiers were just trampled down, and in most instances the blockades were removed within minutes. Suddenly he interrupted his stream of thoughts, and wondered how his words would reverberate in him, were he to listen to his own lecture. Imagining himself in the audience, the remarkable picture of the Sabbath evening service in Bergen Belsen, a few days after liberation, crystallized before his eyes. While the dead and the dying still lie on the ground, the barely living survivors let their voices rise from the ashes into divine Hope, singing Hatikva. The picture of the survivors from the hell of extinction struck him like lightning and etched itself firmly in his mind. Their voices, singing in unison, streamed through his pulsating veins, his heart beat faster and more strongly. 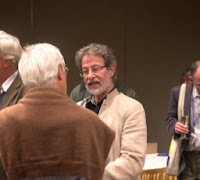 He realized that the course of history changes in a single moment, and with a sense of urgency, he knew he had to raise his voice against denial and demonization, the axis that uncannily linked the One Truth of fundamentalism with the intolerable tolerance of evil. 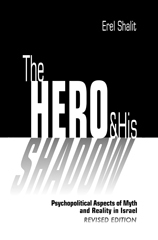 He knew he needed to turn what seemed like predetermined fate into the destiny of vocation. He had to respond to the call of commitment. 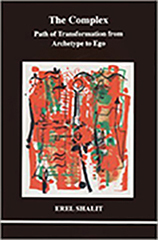 Consciousness, in contrast to denial, he thought, creates commitment. While the manifestations of consciousness are many, the expression of one’s vocation remains individual. 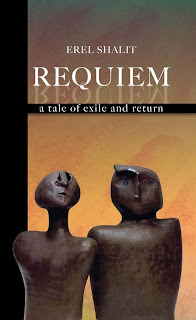 Requiem is available in English and in Hebrew at Amazon, Barnes&Noble, and at Fisher King Press. The title of this meditative book, Requiem: A Tale of Exile and Return, seems inappropriate when the reader begins Erel Shalit's story: if these are the thought patterns that are seething through the mind of our narrator Professor Eliezer Shimeoni as he prepares a lecture on the fate of Israel and the fate of the Jews, why then open with a 'Christian' mass for the dead? 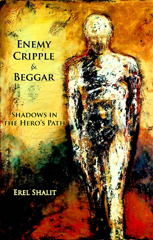 But then we are reminded that this is yet another work by the author of Enemy, Cripple, & Beggar: Shadows in the Hero's Path, and his life's work is not only a Jungian Pyschoanalyst in Ra'anana, Israel but he is also a man consumed with the great literature and the important writers of the world. 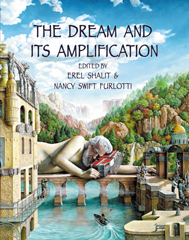 Erel Shalit's Requiem: A Tale of Exile and Return touched me deeply, deep into the waters of my soul. From that ocean, I will choose to mention a few of the many emerging waves.